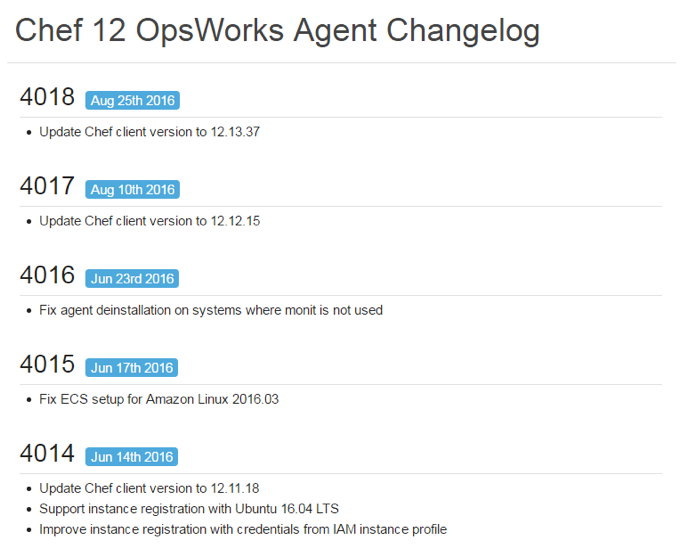 Over the past few months, the AWS OpsWorks team has introduced several enhancements to existing features and added to support for new one. Let’s discuss some of these new capabilities. · Node.js 0.12.15 – Provided support for a new version of Node.js, in Chef 11. – Fixes a bug in the read/write locks implementation for the Windows operating system. – Fixes a potential buffer overflow vulnerability. – Introduced a frozen string literal pragma. – Introduced a safe navigation operator (lonely operator). 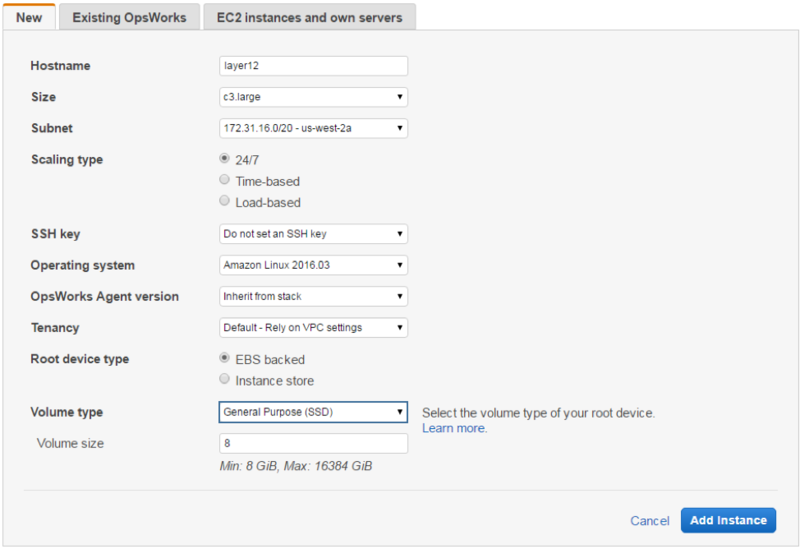 · Larger EBS volumes – Following the recent announcement from Amazon EBS, you can now use OpsWorks to create provisioned IOPS volumes that store up to 16 TB and process up to 20,000 IOPS, with a maximum throughput of 320 MBps. You can also create general purpose volumes that store up to 16 TB and process up to 10,000 IOPS, with a maximum throughput of 160 MBps. 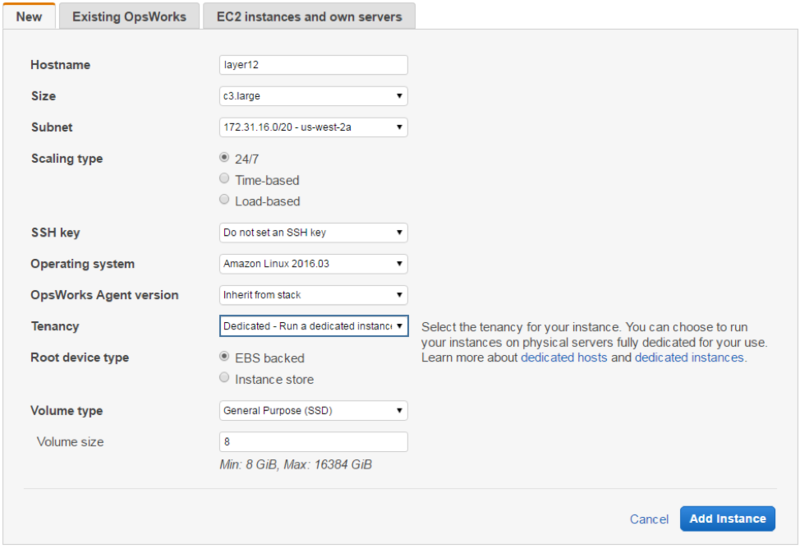 · Instance tenancy – You can provision dedicated instances through OpsWorks. Dedicated instances are Amazon EC2 instances that run in a virtual private cloud (VPC) on hardware that’s dedicated to a single customer. Your dedicated instances are physically isolated at the host hardware level from instances that belong to other AWS accounts. · Define root volumes – You can define the size of the root volume of your EBS-backed instances directly from the OpsWorks console. Choose from a variety of volume types: General Purpose (SSD), Provisioned IOPS (SSD), and Magnetic. · Instance page – The OpsWorks instance page now displays a summary bar that indicates the aggregated state of all the instances in a selected stack. Summary fields include total instance count, online instances, instances that are in the setting-up stage, instances that are in the shutting-down stage, stopped instances, and instances in an error state. · Service role regeneration – You can now use the OpsWorks console to recreate your IAM service role if it was deleted. As always, we welcome your feedback about features you’re using in OpsWorks. Be sure to visit the OpsWorks user forums, and check out the documentation.